The 65 beautifully illustrated cards in this deck will create a powerful bridge between your psychic abilities and the ancient knowledge and meanings of the tarot and will help you develop intuitive insights about all areas of your life, including love and relationships, business matters and even career changes. This fascinating deck will guide you whether you're a novice or are already in tune with your psychic abilities. 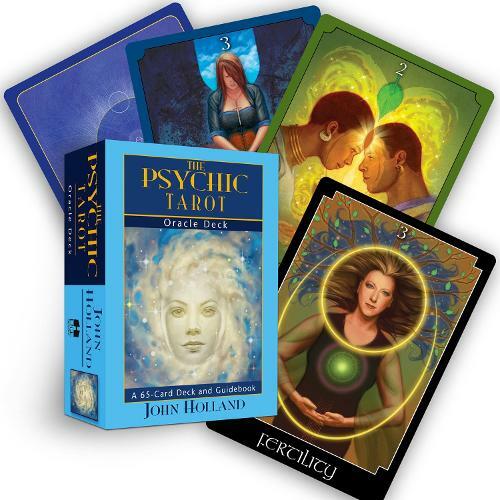 In the accompanying guidebook, psychic medium John Holland imparts techniques that he's practiced himself and taught in his workshops, relating to colours, symbology, shapes, words, card spreads, divination, numerology, energy centers, imagination and more. The cards give an insight into John's advanced techniques which are invaluable whether giving a reading for yourself or others.